At Dough & Arrow, we offer gourmet cookies, cookie dough, and iced drinks. We help create lifetime memories with a unique twist. Our full-service catering packages make an impression at parties, corporate events and weddings. Our scooped-to-order edible cookie dough bar, fresh baked cookies and drinks are delicious! Want to make your event personal? We customize cookie orders to your occasion. We also can service a table top hot coffee, iced coffee and tea bar. With custom catering options for every event, we help you thank employees and impress your clients at a moment's notice. Create a strong first impression with new clients, or celebrate with old friends and staff – that’s the magical power of our desserts and drinks! Nothing says “we treat you like family” like Dough & Arrow's catering! Create your very own cake and dessert bar from our many classic or trendy flavors. Then we personalize your desserts with the Bride & Groom’s favorite combinations! Our wedding catering service is memorable, fun, delectable, unique! We pay attention to detail, with service that allows you and your guests to relax and enjoy the day! Each event, party, anniversary, birthday or bar-mitzvah, should be memorable and tons of fun. We’re here to make the dessert catering and planning easy! 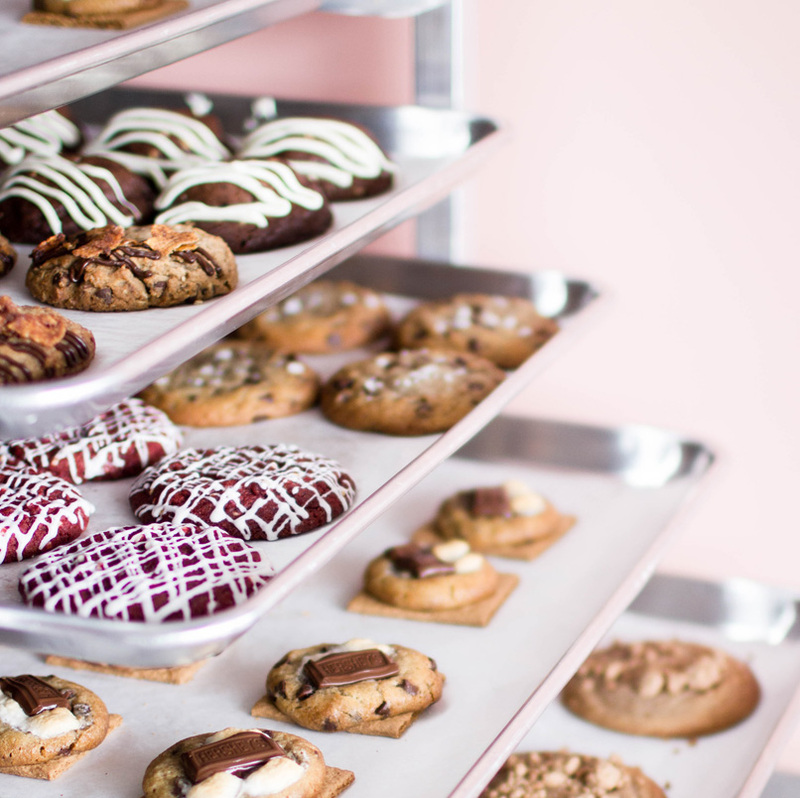 We love serving you and your guests with our delicious cookies, cookie doughs, cookie cakes, pastries, and drinks! We offer options to cover your occasion's needs.